To offer our guests more comfortable stay, nine hours will introduce the latest facilities and amenities such as towels with long pile fabric and basic skin care products at the new opening property nine hours woman Kanda, who will open its doors on July 27, 2017. We are pleased to announce that nine hours woman Kanda will open its doors on July 27, 2017. 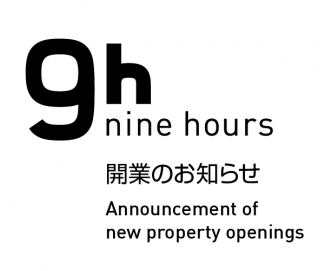 We are pleased to announce that nine hours Shinjuku-North will open its doors on March 22, 2017. We are also planning new properties in Takebashi with COSMOS INITIA Co.,Ltd. and Kamata with Raysum Co.,Ltd., both aiming to open in spring 2018. Raysum Co.,Ltd. 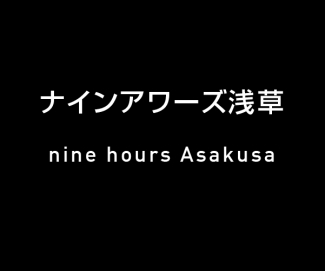 and nine hours Inc. are pleased to announce the opening of nine hours Asakusa in spring 2018. nine hours Asakusa offers 24 hour check-in and also accommodates short stay guests. 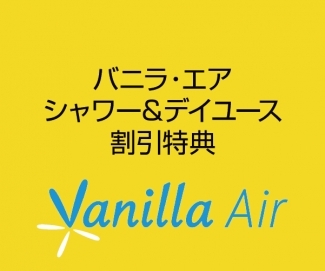 An exclusive offer for guests using Vanilla Air flight. Special discounts for Nap and Shower use. You can receive following special discounts by presenting an air ticket or itinerary of Jetstar Japan flight at the front desk. Offer is valid 3 days before/after the flight.